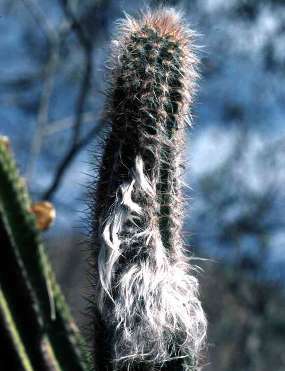 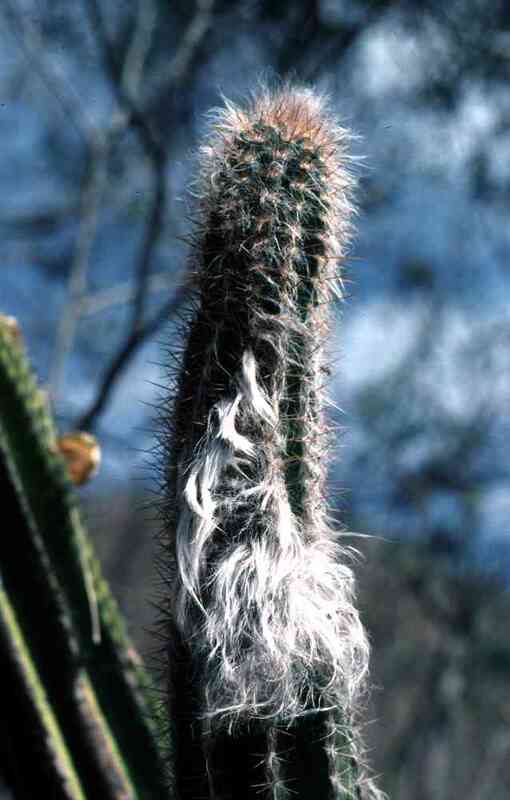 This is the only cactus in our region with a pseudocephalium (tufts of hairs that grow out of one side of mature stems). 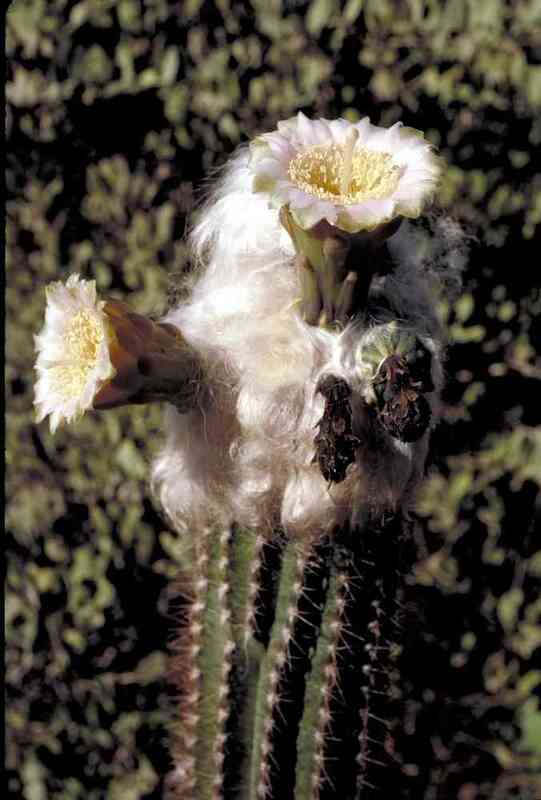 The hairs protect the flower buds. 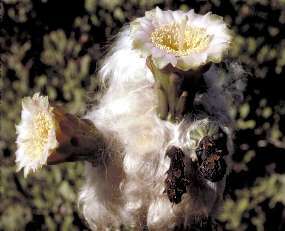 Flowers open at night in June and give off the odor of ammonia, attracting bats for pollination. 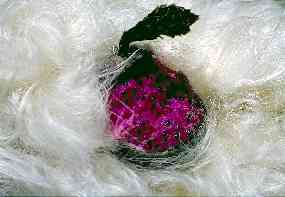 The juicy fruit is tasty. Dense tropical deciduous forest from Sonora and Chihuahua south to Jalisco. 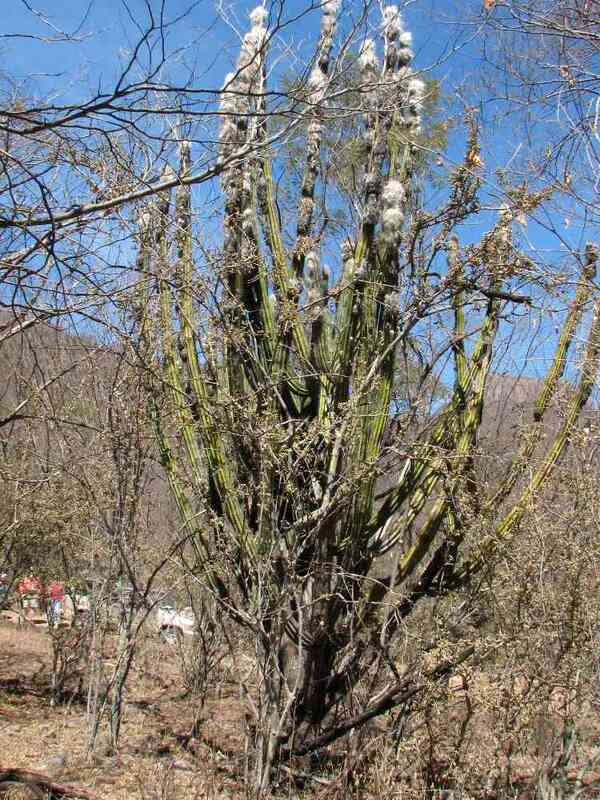 If the forest is cleared around these plants, they will sunburn severely.